[REPORT] Exploring Terra Nova/Badlands/Region 51230.23: Region classified as 'desert' with 48% lower radiation level than equivalent Utopia regions. Signs of life minor. [ALERT] Radar detected unrecognized object approaching at 31 KPH. Object identified as possible human on quadruped organic life form. No match in current threat database. Observing. -Log file from Utopian Drone found destroyed by Sandriders outside the Godswell Valley. 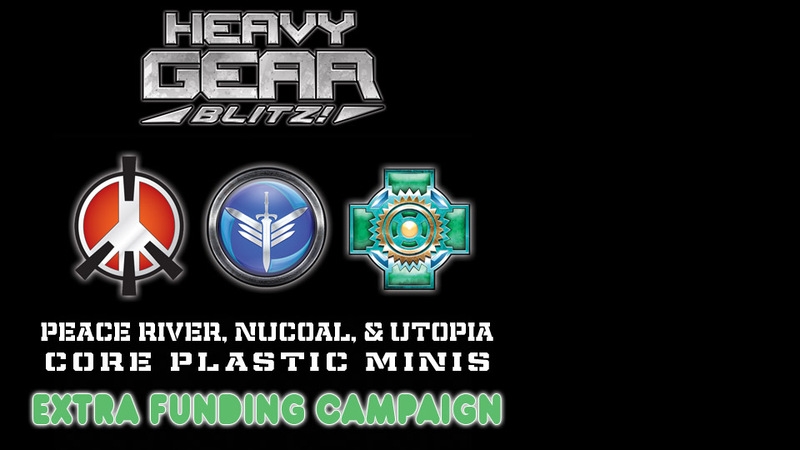 While the CEF's invasion of Terra Nova is a major event in the world of Heavy Gear, several other colony worlds have their parts to play. Conquered by the CEF, the corporate and freedom fighter forces of Caprice are in a desperate shadow war to regain their independence. Some willingly work alongside the CEF conquerers, while others offer support to Terra Nova's Black Talons. The forces of Caprice use Mounts: Light, insect-like foru and six legged walkers buitl to handle the harsh mountains and sheer cliffs of their homeworld. The Mounts climbing abilities are useful in the massive city of Gomorrah, where they can maneuver between buidligns in ways normal ground vehicles can only dream of. Utopia's human civilization had descended into underground arcologies generations before as nuclear weapons were deployed in a planetary war. The CEF combined offers of ecosystem-restoring technology and military backing to allow the dominant faction to end the centureis-long stalemate. Utopians have found their alliance with the CEF to be advantageous, but some Utopian officers wonder if the CEF has alterior motives. The Utopian military might has been based around highly autonomous Drones hardened to operate in the harsh wastelands while keeping fragile humans safely at home. With the CEF's support, they've increased production of the Armiger suits to allow more nuanced control and transported substantial Utopian military forces to take aprt in the War for Terra Nova. Human soldiers can provide cruciai decision-making eyes on the battlefield and directly command armies of armed drones. Soldiers not in the massive Armigers can also be found in smaller Golem-class power armor. The Utopians have also fielded massive armored vehicles in the past, but the CEF has not authorized the massive undertaking required to transport these behemoths off-world. The few travelers lucky enough to see Eden from space might think it is a low-technology, agricultural world, but this is not true. While many of the world's inhabitants live peaceful, lives working in agriculture, the cities of Eden are home to incredible technological wonders. One science experiment gone catastrophically wrong has perhaps doomed this world: a test of a new Gate Drive system that hoped to make travel between worlds faster has caused a gravitational anomaly that threatens to destroy Eden's ecosystem. Many small noble fiefdoms of Eden field small forces of troops in Golem suits purchased at great expense from Utopia. The CEF is known to have sent missions to other human colonies, and some Black Talon missions were sent to these worlds as well before Terra Nova was forced to deal with the second CEF invasion. Jotteheim is a harsh, cold planet. It's natives, descendants of long-ago colonists, are known to be unfriendly to outsiders. The CEF and Black Talons have both had very limited scucess here. This colony world was used as a dumping ground for countless prisoners a former Earth government was unwilling to execute. The prisoners survived, and the CEF has continued to use this world as a dumping ground for their unwanted, including disobedient or rebellious GRELs. Whispers of this colony being used as a proving ground for CEF super soldier projects or a recruitment station for feral colonists seeking a better life are unproven. This world was purchased outright by the Church over a thousand years before, and has become home to the faithful. New Jerusalem has already repelled one CEF invasion fleet, and it is unknown what war machines and abilities they may have prepared to defend themselves.